← moKo: It’s Fusionese for Delicious! Tarantula! Maple Leaf! Igloo! Stop! Stop! A comedian once said, “I hate people who say things are ‘like crack’. Those people have clearly never tried crack.” Yeah, that chocolate cupcake never made you blow some guy in an alley. 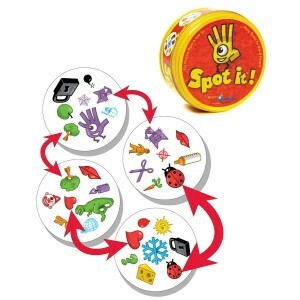 But if there were a crack of card games, it would be called “Spot it!” a game that is taking over the planet. I can’t pass a break room without hearing people shouting out random nouns. 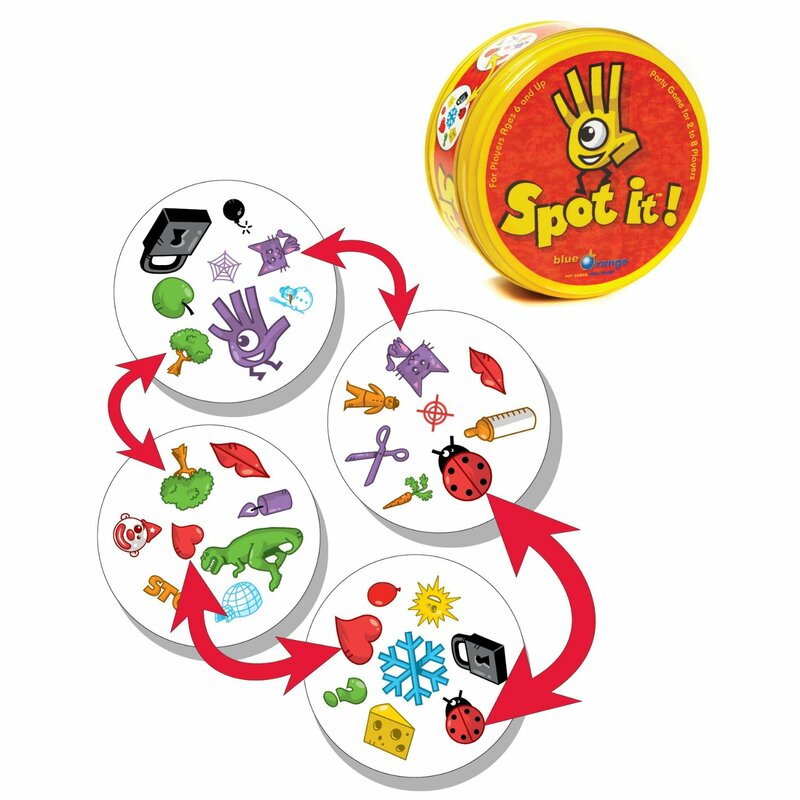 Spot! is similar to Crazy Eights, but even simpler. Round cards printed with a variety of pictures are divided among players. A card is placed face-up in the center, and players must match a picture on their card to one on the face-up card. Whoever runs out of cards first wins. It would be a good game to travel with since it crosses language barriers, but you wouldn’t get the enjoyment of hysterically shouting, which, like slap dominos, seems to be the best part.